Tourists from all over the world visit Greece every Summer raving about how beautiful the sea is, how the islands and the towns are even more mesmerizing in person than in pictures and how hospitable the Greeks actually are. Then it’s time to eat. 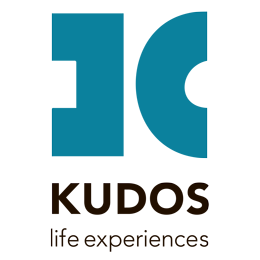 To taste the renowned Greek cuisine that has been praised by a profuse number of food experts, foodies and medical advisors for the health benefits it offers. Having high expectations, the tourists will not be disappointed because for Greeks, serving good food is only a part of their job, the rest is created by their energy to transform a person’s need to eat to a memorable experience that they will carry with them back home. Eating at a Greek taverna will be one of the top memories on their lists of what they remember Greece for and what will make them return for seconds! Having lunch or dinner for Greeks is not just satisfying a hungry stomach, it’s a sacred time of the day, where all family members get together and enjoy each other’s company, share stories, exchange opinions while having the luxury of savoring homemade delicious dishes made only from the freshest meat, vegetables picked from their own garden, local oil produced from a friend’s olive tree and local wine gifted to them from a cousin’s produce. This mentality has been preserved and passed along to the younger generations, who cherish the simple idea of “having lunch” and sense the deeper feeling. It will be considered a sin for one to come to Greece and not order a souvlaki. Being primarily a nutritious fast food for meat-lovers, souvlaki nowadays has also adapted to appease to vegetarians as well. 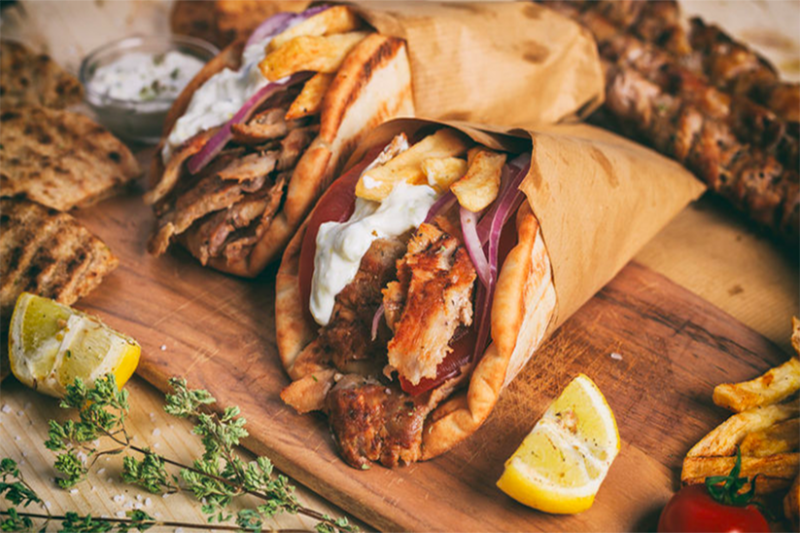 Therefore, the meat-eaters will still devour their pork souvlaki, chicken gyro or kebab wrapped around in pita bread and adding their favorite toppings such as tzatziki, French fries, lettuce and tomatoes. However, the vegetarian eaters have the option of choosing a mushroom stick souvlaki or grilled vegetables stuffed with their desired toppings. 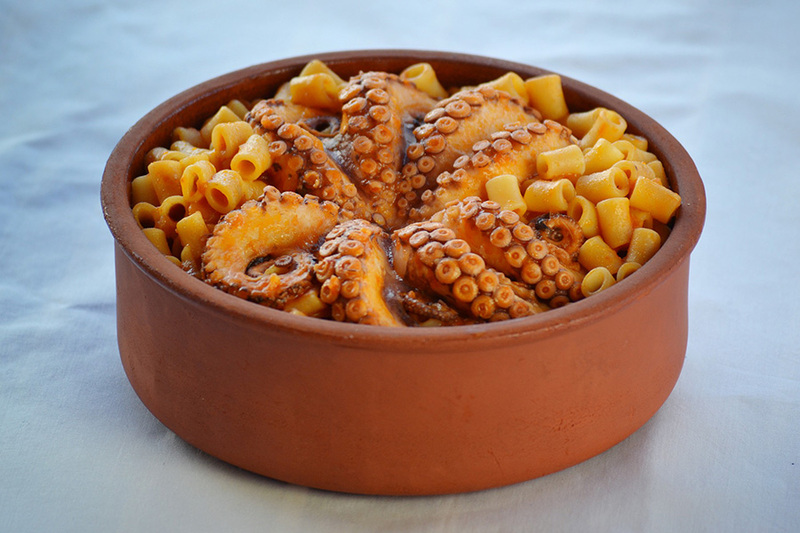 Perhaps one of the most famous and loved Greek dishes by… well everyone! 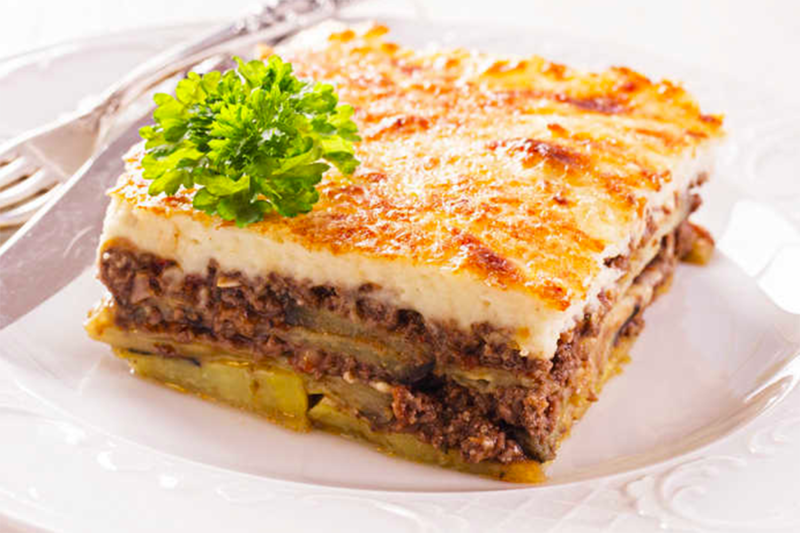 Aubergine and potato based with minced meat, béchamel and covered with cheese, Moussaka has a delicious odor that can make someone who has already eaten, hungry again. As it has been cooked in the oven creating a crispy melted cheese crust on top, the few minutes it takes for it to cool down to be cut into pieces, are probably the longest minutes you have ever waited to have a bite. Although it’s neither an easy nor a fast dish to prepare, it tastes even better than it looks and definitely worth the time and energy. The most ordered salad and the salad that has influenced numerous international cuisines by creating variations of it. 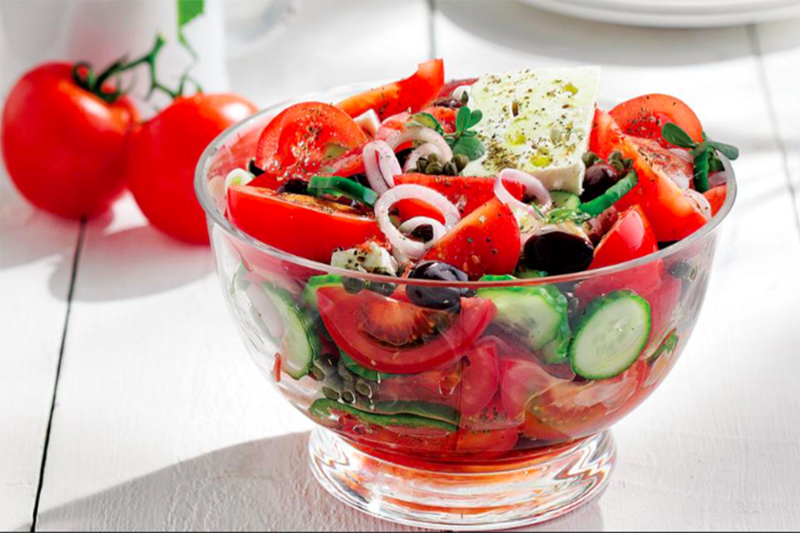 However, it should be recognized that there is no comparison to the authentic Greek salad. It consists of fresh tomatoes from the garden, juicy onions, organic cucumbers, green crunchy peppers, Greek black olives, spicy feta goat cheese, oregano handpicked from the mountains, topping it all off with bio olive oil and a pinch of sea salt. It’s hard to beat the unique flavor of those ingredients just because they are all naturally grown and produced. Octopus has a strong taste and because of that many avoid ordering it. Our recommendation of this dish is not accidental and random, but we know that it will change your mind of octopus. The tomato sauce with the finely chopped onions and perhaps with stirred in red wine, is not overflowing but it’s just the right amount to give extra flavor to the fine cut macaroni. The octopus should be the morning’s catch and is served on top or in smaller pieces blended with the rest of the dish giving the finishing it off with a unique taste that will have you munching not realizing that you have no more bites left to eat. Proper seafood Greek tavernas will serve this dish leaving you wanting more! It’s time for dessert and it’s going to be a good one! Baklava, a traditional dessert with filo (dough), walnuts, cinnamon, cloves and honey mixed together creating a rich sweet taste. 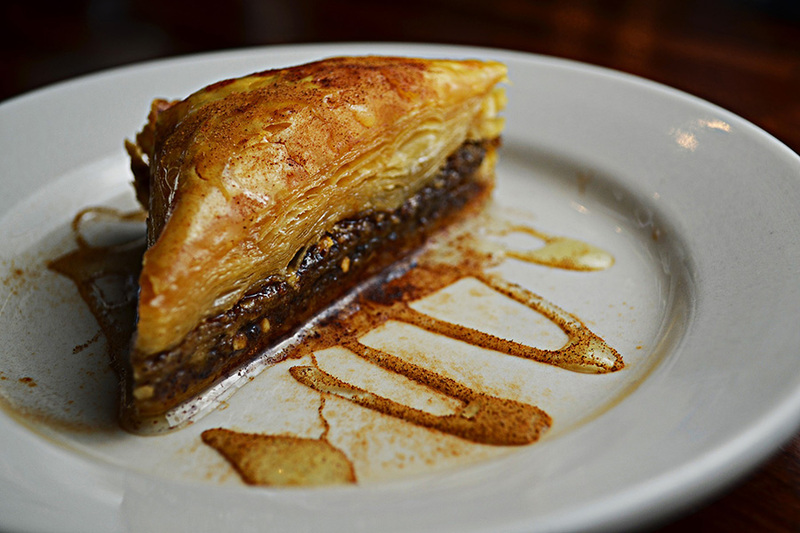 There have been many studies on where baklava originally came from, Turkey, Greece, Roman Empire, and Persia, to name a few. No matter where this heavenly sweet treat came from, each bite from it will leave your taste buds overly gratified. The modern-day Greek variation is made up from 33 layers of filo symbolizing Christ’s years of life. You can find the finest baklava at villages where the filo is “opened” by the experienced hands of elderly women who get the thickness precisely right baked so that it could reach the ideal level of crispiness.